A $250 Value Giveaway Basket!!!! See that OgoDisk set in the middle? That is the Ogo Fora II. Very cool looking gears motif! It's twin sister, Ogo Fora I is going to be in our next Outdoor Toy giveaway.- coming soon! So I wish I could have a contest like this. It's so easy to enter. Look at this SUPER SIMPLE entry form. The folks at OgoSport wants to know where you like to take your family to eat and play! That's it? And no, you don't have to make an account with a password that you'll forget anyway. Hallelujah! I am telling you about this because if I don't get to win it, then I would love for one of the readers here to win it. I think you can enter up to ten times. 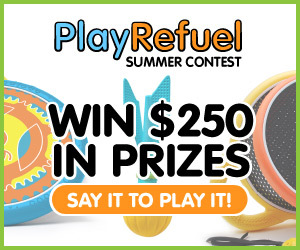 Enter the PlayRefuel Summer Contest 2013 HERE! Good luck! Can't wait? Want an OgoSport OgoDisk now? I know what you mean. 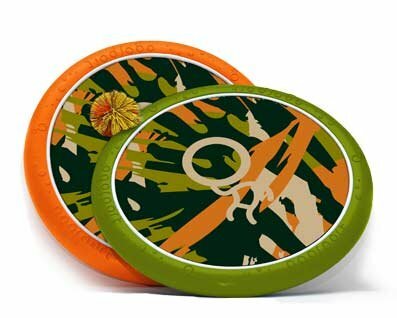 We are testing out OgoDisk Raq right now and so far we're loving it! Here are some of the things we've played with and just love!!!! 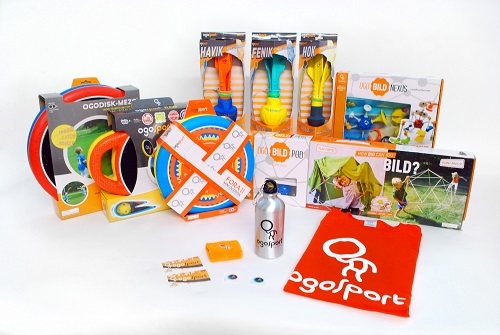 Disclosure: As a thank you from OgoSport, they are giving me an OgoSport OgoDisk Fora I and I've decided to let that be the centerpiece of my next big giveaway- Outdoor Toys! Here is a preview pic, just for you! I like that mustardy yellow look on the ball. If you ever buy an OgoSport, do make sure you buy an extra ball. But if you run out, you can always just throw them like a frisbee!